Because I care deeply about all animals, and especially cetaceans, I am always aware of the delicate balance between the pros and cons surrounding dolphins in human care. Given the impassioned opinions that have swirled around over the last few years about this issue I thought this would be a good opportunity to provide some clarity by talking with a variety of experts about these important issues. We know from various studies,that once people become emotionally committed to a certain viewpoint, it is difficult for them to be open to another perspective – even when presented with sufficient scientific evidence. This is called confirmation bias. That being said, it is still important to delve into these important topics with the hope that an informed discussion will positively shape our future with dolphins and all animals in human care. So here are some of the commonly held opinions and myths that are out there, and the responses to them from some of the leading experts in their fields. Dr. Grey Stafford, Ph.D - Director of Conservation and Communication at Wildlife World Zoo, Aquarium and Safari Park in Litchfield Park, Arizona, and the author ofZoomility: Keeper Tales of Training Positive Reinforcement. Myth #1: Zoos and aquatic parks are simply exploiting species, mistreating animals, and providing no useful service. Such facilities should be closed down because we have the technology today to bring humans into contact with animals through videos, books, and other technology. Facts: For answers I turned to Dr. Grey Stafford, Ph.D., Director of Conservation and Communication at World Wildlife Zoo, Aquarium and Safari Park in Litchfield Park, Arizona, and the author ofZoomility: Keeper Tales of Training Positive Reinforcement.He has worked in many capacities in the zoological environment for more than 25 years, including as a trainer. “We are living in a world of 7 billion humans today. By 2050, projections are that there will be 9 billion of us. Most people don’t realize the impact this has on the animal populations of the world, and on their environment. Many don’t understand, or even deny the reality of what is happening in the real world. The truth, however, is that very soon the entire planet will have to be managed like a zoological park. “California Condors – These were down to about a dozen remaining birds. Through public, private and government partnerships, zoos developed breeding programs, and adapted methods of care and training. Now there are hundreds of these magnificent birds, released and living successfully. “The Arabian Oryx – in the 1960s these desert antelope-like creatures (and likely the origin of unicorn myths) were nearly extinct. Nine animals were brought to the Phoenix Zoo, which implemented a successful breeding program and shared with other zoos their techniques and some of the more than 240 successful births. As a result, today there are an estimated 500-1,000 living in the wild, and some 6,000 in human care. “The Blackfooted Ferret – The only ferret native to North America, these were on the brink of extinction. By 1986 only 18 of them remained. Zoos devised successful breeding programs, and according to the U.S. Fish and Wildlife Service, as of 2011, some 8,000 kits were in human care, and more than 3,000 were reintroduced to their natural habitat. Estimates today are that there are now 500-1,000 Blackfooted Ferrets in the wild, with another 300 in breeding facilities. “Scimitar Horned Oryx – These are extinct in the wild, and without human involvement would have disappeared from Earth. However, zoo populations are thriving because of cooperation between North American and European zoos. “As for technology replacing personal contact with animals, in my experience there is no substitute for contact with a living creature. It is a highly personal experience for everyone, one that makes people light up. Having something react to you in a favorable way – a dolphin accepting a fish from you, a bird landing on your hand, these powerful experiences lift us out of the norm. They can change human behavior, and this is exactly what is needed if we are to survive on this planet. “Today, mostly due to the years of pioneering efforts by those training and caring for cetaceans (dolphins, whales, etc. in aquarium parks), we have come to understand that animals under human care have become willing partners, cooperating with their human caretakers, and we are treating them as partners in their own individual and species survival. This is a new form of evolution, of co-evolution, in which animals are playing the part of ambassador for their species, serving their species in a different way than just passing on their genes. 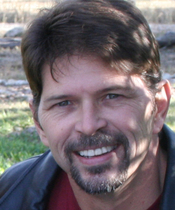 Mark Simmons, author of Killing Keiko: The True Story of Free Willy’s Return to the Wild. Myth #2: Dolphins, orcas and other marine mammals are better off being released into the wild. Keeping them in aquariums for the entertainment of the public, is unethical, dangerous to the animals’ health, and serves only to enrich the aquariums’ proprietors. Facts: I asked Mark Simmons, author of Killing Keiko: The True Story of Free Willy’s Return to the Wild, to address this notion. 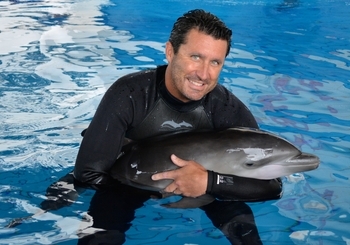 Simmons’ professional career in rescue, rehabilitation, intervention, behavioral and health and environmental health assessments began at SeaWorld in 1987. He was a major participant in the Free Willy/Keiko Foundation attempt to save Keiko the killer whale (aka Willy) when it was returned to the wild. “The first thing people need to understand is just how dire the situation for our oceans’ marine life really is. I have for years been involved in major studies on the health and “environmental conditions off the east coast of the U.S., Florida, and the Gulf of Mexico. I can tell you that the studies are shocking. Dolphins and other animals are suffering incredible environmental stress and immunological compromise resulting from the degradation of their environment. They are underweight, their food sources are depleted, and suffering from disease. Most of this is due to human activities such as runoff of persistent toxic chemicals into the ocean. Marine mammals off the east coast are showing antibiotic resistance to the three antibiotics most commonly prescribed for humans. “You no longer need microscopes to detect this. When you go out into their environment you can see the degradation. There is an alarming rise in all sorts of viral lesions, pre-“cancerous papillomas, high levels of metals such as mercury in their tissue and blubber layers, and more. I don’t think the public understands how many of our ocean’s creatures are getting to the verge of extinction. They are marinating in our runoff. This has gotten to the point that some veterinarians say that if they were a dolphin today that they would rather live in the controlled environment of an aquatic park than in the ocean. “As for aquatic parks versus the wild, the truth is that animals die at least as much in the wild as they do under human care. There are many complicating factors in assessing survivability, but I think we can confidently say that, by and large, dolphins in human care are outliving their counterparts in the oceans. Sure, some facilities are better than others, and the ones that don’t keep up with modern care practices need to be fazed out, but our aquatic parks and rescue and rehabilitation organization are doing amazing work, learning how to create healthy environments, enrichment and breeding programs, and more. “Unfortunately, movies such as Blackfish, and The Cove are rife with half-truths and outright lies. I know this to be true because I know many of the circumstances and the very people who appeared in them. Movies like these, and publicity campaigns by non-profit organizations that do no conservation activities at all, have led a lot of people to believe that a hands-off approach will fix everything. But this fails to account for what we have done to the oceans, and the forces we’ve created that animals can’t adapt to in that short of a time. “The tragedy, for instance, of Keiko’s release into the wild, his subsequent loss of quality of life and, ultimately, his demise, is that it was based on a tidal wave of public emotion – the will to do good – and not on critical thinking or relevant expertise. After starring in the movie, “Free Willy,” Keiko was living in a substandard facility in Mexico, and there was a public outcry to free him into the wild. But Keiko was an adult who had lived his whole life in the care of humans. Whales are highly social creatures. They need to be socially integrated into pods when they are young. Keiko never was able to live outside of human care, never integrated with wild whales. He had a dangerous papilloma virus, and died of immune compromise, a respiratory infection brought on basically by dehydration and starvation. He lived for five years after his release, and suffered nearly the entire time. “As for animals such as Keiko being exploited for his entertainment value and for the profits of aquarium proprietors, this is a blatantly biased notion. In 1972, the United States passed the Marine Mammal Protection Act, which is enforced by the National Oceanic and Atmospheric Administration, or NOAA Fisheries. We are one of the only countries in the world that has this kind of protection. NOAA issues permits to aquariums only for scientific research and public display, and it advocates such things as establishing breeding groups for animals under human care. There is little to no governmental funding for this enormously expensive research. Rather it is funded entirely by the public attending places like SeaWorld, where all the biologists, behaviorists, veterinarians and other disciplines are represented. Were it not for our zoos and aquariums we wouldn’t have the knowledge or the public will to try to protect these increasingly endangered species. “We humans spend vast sums of money on entertainment. Think of the wealth we pour into organizations such as the NFL, NBA, NASCAR, Hollywood, television and more. I have been involved in marine research that costs some $500,000 a week to do. It is a fact of life – entertainment drives awareness, public sentiment and legislation to any issue. If aquariums cannot provide entertainment, who will consistently raise the large sums of money necessary for these crucial conservation efforts and public education about these species? True conservation can only happen along with prosperity. 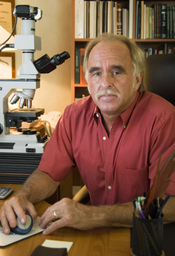 Dr. Gregory D. Bossart, V.M.D, Ph.D. He is a veterinary pathologist and Senior Vice President for Animal Health, Research and Conservation with theGeorgia Aquarium in Atlanta, Georgia. Myth #3: Dolphins in the wild survive much longer than do dolphins in human care, and dolphins in human care are on antibiotics all the time due to the high rate of disease in aquariums. Also, trainers and other humans can get diseases from these captive dolphins. Facts: For an authoritative answer to this often-repeated idea, I turned toDr.Gregory D. Bossart, V.M.D, Ph.D.He is aveterinary pathologist and Senior Vice President for Animal Health, Research and Conservation with theGeorgia Aquarium in Atlanta, Georgia. Bossart also is a Diplomate of the European College of Zoological Medicine (Wildlife Population Health). He has published more than 160 pe er -r ev ie we d studies in scientific journals, focused primarily on the pathologic basis of disease in wild animals. “In our recent studies covering the Indian River Lagoon [an ecosystem more than 170 miles on the east coast of Florida] and Charleston, S.C., we’ve looked at more than 300 animals, catching them, looking them over, releasing them and following them over time. These animals are sentinels in our environment, showing us the health of our environment and ultimately our own health, as we are not separate from the animals but share much of the same proclivity for disease and immunity challenges. 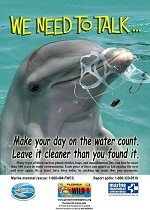 “The bottom line is dolphins in areas that we’ve studied are less healthy in many instances than those in human care. They are suffering from new bacterial and viral diseases, tumors and other cutaneous lesions, and their blood and skin contain very high levels of mercury – up to 20 times more than U.S. government allows in fish used for human food. Many of the free-ranging dolphins we’ve studied have antibiotic-resistant bacteria in their intestinal tracts, which represent a potential public health risk via environmental exposure. The CDC considers antibiotic resistance bacteria as one of the most critical emerging issues for human health. “On the other hand, animals under human care that I see get quality food and high-quality medical care. At our facilities in Atlanta and Florida, dolphins get a complete physical examination quarterly, at a minimum, and we measure everything we can in order to detect any possible health challenges. The key is preventative medicine. Typically, dolphins under human care at accredited facilities actually live longer than many of their free-ranging counterparts. For example, Nellie, the bottlenose dolphin born in human care in1953at Marineland Dolphin Adventure near St. Augustine, Florida, died in 2014 at the age of 61. She was the oldest known dolphin to be living under human care. Actually, I have taken care of at least nine dolphins in the 40 to 50-year-old range at various facilities over the years. Interestingly, many of the medical conditions I now treat would be considered geriatric conditions. “The use of antibiotics in dolphins in human care is based entirely on medical need and depends on many variables, including age. The use of antibiotics in marine mammals is probably no more frequent than the use of antibiotics in domestic animal medicine or human medicine. “Ultimately, it is important for us humans to realize that all life is interconnected, that what we do to animals and their environment, we do to ourselves. A report in 2004 from the U.S. Marine Mammal Commission concluded that threats to marine mammals are ultimately related to the size, growth rate, consumption patterns, and behaviors of humans. Kevin Willis, President of the Alliance of Marine Mammal Parks and Aquariums, and Chair of the Population Management Task Force. Myth #4: Half of dolphins captured in the wild die within their first two years of captivity, and half of those that survive beyond that die within seven years fromcapture shock, pneumonia, intestinal disease, ulcers, chlorine poisoning, and other stress-related illnesses. Facts: Kevin Willis, President of the Alliance of Marine Mammal Parks and Aquariums, and Chair of the Population Management Task Force. 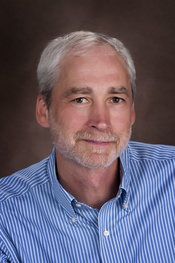 Willis is a leading marine-mammal biostatistician in the United States. “Even based on the few peer-reviewed studies that we have, this information couldn’t be more wrong. I can tell you that from 1973 to 2003 the median life expectancy of a year-old Atlantic bottlenose dolphin in human care is longer than the longest reported value for a wild population, 22.5 yearsvs. 17.4 years.Median lifespan is defined as the age to which 50 percent of animals live. This is based on data required since 1973 by the National Marine Fisheries Service to be collected annually from every marine mammal facility in the United States. Myth #5: The mortality rate for baby dolphins is a sign that dolphinariums are unhealthy places for dolphin births. Facts: We see the loss of even one young dolphin as a tragedy, of course. The reality is, since 1990 the infant dolphin mortality rate in human care has been approximately 25% when stillbirths are included. Although this may seem high, it is typical for species in human care. We are accustomed to thinking about mortality in terms of the human population, and in the U.S. the rate of infant mortality is very low. This is in large part because of modern medical intervention (almost 30% of all human births in the U.S. are by cesarean section) that is not available for dolphins. We do not know for sure how this compares to dolphins in the wild because we are not able to monitor their pregnancies. However, the infant mortality rate in the wild starting from the point at which calves are first seen with their mothers (so omitting calves that were stillborn or died soon after birth) is between 19%and 29%. Half of all dolphin deaths in human care that occur before 1 year of age occur within a day of birth – if this is also the case in the wild the infant mortality rate in human care is only half of what it is in the wild. Myth #6: Dolphins in aquariums in North America are mostly wild-caught, some of them from the drive fisheries such as the one in Taiji, Japan. Facts: This is not true at all. There arenodolphins from Japan in U. S. facilities. Additionally, no dolphins have been collected in U.S. waters since 1989. The population has been maintained and has grown based on a combination of low mortality and a controlled birth rate. “Currently there are approximately 460 dolphins in U.S. facilities, including those managed by the U.S. Navy. Nearly 100 of them were captured in the wild when they were young, and these are now in their 30s, 40s and 50s. The last wild dolphin collected in the U.S. was in 1989. Yes, it is still legal in the U.S. to collect some marine mammals from the wild, but this is highly regulated by the National Marine Fisheries Service. Facilities must show, among other things, that taking the animal will have no detrimental effect on the population from which it was taken, that its potential for reproduction is good and thus the rest of the population under human care in a particular facility will benefit, or that the dolphin was stranded and is not releasable due its age (young dolphins can’t survive if re-introduced into the wild without being taught by their pod how to fish, etc. ), or that its injuries are severe enough that it will die if released. 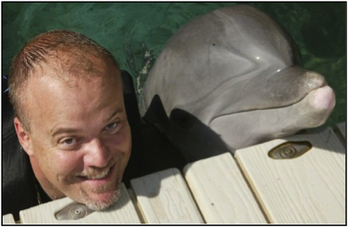 Dr. Roberto Sanchez, DVM, Director of Veterinary Medicine at Dolphin Discovery. Myth #7: Dolphins in human care are highly stressed, especially from being made to perform in shows and swim with humans in facilities.Such activities weaken the dolphins’ immune systems. It is helpful to note that similar testing in human athletes shows that cortisol increases significantly immediately after physical exertion. This most recent study’s findings further validate other cortisol studies of dolphins over the years. With such clinical data, it is clear that dolphins do not experience stress, as measured by cortisol and other analytes, during swim interaction programs or performing shows. 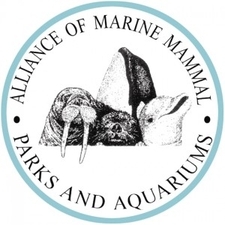 Alliance of Marine Animal Parks and Aquariums. Myth # 8: Aquariums and zoos have little or no educational value. Dolphin shows, in particular, have no effect on patrons’ beliefs or actions about the environment. Facts: To answer this question, I turned to the Alliance of Marine Animal Parks and Aquariums. They pointed out that in 2012 there actually was a scientific study done on how visits to dolphin shows affected visitors’ conservation-related knowledge, attitude, and behavior.A total of 793 visitors were asked to answer survey questions before, immediately after and three months after attending either a dolphin show or interactive program (swimming with the dolphins). Survey questions ascertained knowledge with questions ranging from those about whether feeding dolphins in the wild was harmful, to whether humans and dolphins depend on some of the same resources. Further questions assessed visitors’ attitudes about protecting the environment both personally and with contributions or taxes, buying products that are marine environmentally friendly, and their emotional connection with dolphins. And even further, visitors were asked dozens of questions about whether the experience had changed their opinion about using pesticides and fertilizers, becoming members of marine environmental organizations, researching further information about the oceans or marine mammals, and the like. Participants of both types of show demonstrated a significant short-term increase in knowledge, attitudes and behavioral intentions. Three months later, participants in both types of shows retained the knowledge they learned during the experience, and they reported engaging in more conservation-related behaviors. Billy Hurley, former Alliance of Marine Mammal Parks and Aquariums board president and current board member. Myth # 9: The taking of dolphins for display in aquariums, such as those from the annual dolphin slaughter in Taiji, Japan, is a major reason for the decline in marine mammal populations. Facts: I askedBilly Hurley, former Alliance of Marine Mammal Parks and Aquariums board president and current board member, about this. “There is much to consider here about this mistaken idea. First of all, that slaughter is horrific and should end. Those of us who have committed our lives to the stewardship of dolphins and other marine mammal populations have long condemned the practice of dolphin drive fisheries such as the one in Taiji. Not only is it brutal, but even from a stewardship perspective it is unsustainable. The Taiji fishermen kill these dolphins mostly because they believe the dolphins are eating the fish that community needs to survive on. But the real problem is that humans have decimated the fish populations by overfishing. The killing of those dolphins is not going to solve that problem for these fishermen. “Second, it is true that a small number of those dolphins caught in this drive fishery are saved from the slaughter and sent to aquaria in Asia and the Middle East for display. The movie about the Taiji slaughter, “The Cove,”implied that some of the dolphins saved from that slaughter were sent to aquariums in the United States. That is completely false. Since the 1980s, theaccredited aquariums have voluntarily chosen not to import dolphins from these drive hunts. Likewise, the regulatory agencies in the United States that review importation permit applications would not approve any requests to import animals collected from drive fisheries given the inhumane practices and the lack of data to support a non-detrimental finding regarding removal of animals from a wild population.Any such captures have gone to aquariums elsewhere. In the U.S., at least 75 percent of aquarium dolphins were born under human care. The other 25 percent have beenbroughtin via collections from the wild yearsago, including dolphins that were rescued from strandings and rehabilitated. Also, since 2004, Mexico has made it illegal to import or export marine mammals. “The Taiji fishery’sprimary purpose has not been to capture dolphins for aquariums and a valid point can be made that aquariums are a more humane option for a few of these animals.I do find it troubling that those who condemn the rescue of some of these dolphins for display in other parts of the world somehow fail to acknowledge that at least they were saved from slaughter! “Third, currently there are only about 460 dolphins under human care in the United States, and about 200 in Mexico. We believe the maximum number of cetaceanslivingin human care worldwide to be less than 1 percent when compared to the cetaceanskilledevery year from human fishing activity and from the extraordinary degradation of our oceans from toxins and pollutants that engender disease and death. Huge numbers of cetaceans are killed as ‘bycatch,’ that is they are incidentally caught in nets intended to catch other species meant for human and animal food. “The few studies that have been conducted about this reveal some alarming statistics. A 2006 studydone for the National Oceanic and Atmospheric Administration estimated that bycatch kills 653,365 marine mammals each year, about half of which are dolphins and the other half pinnipeds (sea lions, seals and walruses)! This same study cited a 2002 studythat concluded, “[i]ncidental capture in fishing operations is the major threat to whales, dolphins and porpoises worldwide. Several species and many populations will be lost in the next few decades if nothing is done.” In fact, a number of dolphin species are now considered endangered or on the verge of extinction. The most current and disheartening scenario is that of the vaquita. With less than 100 left in the wild, and mostly unregulated fishing practices resulting in huge by-catch of this specie of porpoise, they are facing a certain extinction in the next few years. “Given such startling numbers, one begins to realize that preserving these species has now become our responsibility. This necessarily means close study of cetacean health and breeding programs – things that cannot be accomplished effectively in the wild. This has become a pressing need, and something that can be done in aquaria. Myth #10:Cetaceans in human care should not perform shows and should have little interaction with humans. Facts:Actually, both performances and interaction programs offer the dolphins the physical exercise and mental stimulation that they need to thrive in human care. From my own experiences working with dolphins, they certainly seem to enjoy the interaction and participate without food rewards for the great majority of our research sessions. When they lose interest, they just swim away. I am not the first person to get the feeling that they are often experimenting with us. I believe that to greatly reduce their daily interactions with people, or eliminate “shows” would be an act of cruelty to dolphins in human care. Jack Kassewitz, as he begins a monitoring program of dolphin echolocation in open water compared to modern concrete enclosure. Myth #11: Dolphins, under human care, do not use echolocation as much when they are in modern concrete enclosures as in the open ocean. Facts: We are currently conducting acoustic research on this subject but our initial findings do not support the notion that dolphins echolocate less when they are in a modern concrete enclosure.